An urban myth is a strange or surprising story that many people believe, but which is not actually true. You probably remember some you heard growing up. Here are a few of them. Alligators in the sewers of New York City. The myth is that someone (probably a snowbird) brought some baby alligators back from Florida and flushed them down the toilet. They ended up growing into giant gators roaming the sewers. The fake moon landing. The myth is that NASA faked the moon landings in a movie studio. The Jedi religion form. This myth claims that if enough people fill out "Jedi" as their religion on their census forms, the government will have to make it an official religion. Walt Disney cryogenically frozen. The myth says his body was frozen when he died with the hopes he could possibly be brought back to life from technological advancements. It says his body is stored in a deep-freeze chamber under the "Pirates of the Caribbean" attraction. Pop Rocks and soda explosion. This myth says if you mix pop rocks and soda, it will explode in your chest. The truth is, these are just myths. There are not alligators in New York's sewers. We really went to the moon. Jedi is not recognized as a religion by the government. Walt Disney was cremated in 1966. Mixing pop rocks and soda may give you hiccups and burping for a few minutes, but it won't explode in your chest. Over the years, there have been some "urban myths" that have circulated about children's ministry as well. While they are not true, they have been believed by many. In fact, walk into many churches, and you will hear these myths still being perpetuated. Let's examine some of these and talk about why they are just myths. "Children's ministry is just childcare." This myth causes people to see children's ministry as a baby-sitting service that is used to keep kids in check while the real ministry to adults happens. The truth: Children's ministry is ministry at the most critical time in a person's life and is the most important ministry in the church. "If you serve in children's ministry, you are entering a black hole that you will never escape from." This myth causes people to run from serving in children's ministry. People fear they will be cut off from other adults forever and be doomed to corral hyperactive kids for the rest of their time on earth. The truth: Children's ministries want people who love serving with kids. Serving in children's ministry is one of the best ways to grow in your faith. And you have the opportunity to form friendships and deep relationships with the other adults you serve with. "Children are the church of tomorrow." This myth is partially true and is meant to inspire people to invest in the future of the church. The truth: But the complete truth is this. Children are the church of today and tomorrow. They can be the church today. They can make a difference today. They can be leaders today. "Children can't enter a relationship with Jesus until they turn 12." This myth often uses the analogy of Jesus going to the temple at age 12 and says kids under the age of 12 should not be allowed to make a formal decision to follow Jesus and be baptized. The truth: Jesus' parents brought him to the temple to fulfill the requirements of the law regarding his confirmation. At 12, he was supposed to enter the period of life where He would have immediate dealings with the law, receiving it no longer through the instructions of His parents, but having been brought by them into a knowledge of its requirements. This was about Jewish tradition. The Bible tells us we must have the faith of a child to come to Christ. Children can understand the gospel and enter a relationship with Jesus before the age of 12. Each child is different, and there is no set age of accountability. Around the age of 7-8, children begin to be able to think abstractly and understand the meanings behind terms such as "Jesus is the bridge back to God." This doesn't mean children in kindergarten can't come to Jesus, but it does means that parents and churches should make sure a child has a clear understanding of the Gospel before they make a decision. We are not to push children into a decision, and on the flip side, we are not to hold kids back from a decision if God is at work in their lives. Rather, we are to walk alongside children as the Holy Spirit draws them to God. "Worship leaders in children's ministry aren't as important as worship leaders in the 'main' service." This myth causes worship leaders to see the "main service" as the ultimate destination and shy away from leading worship in children's ministry. Children's ministry becomes a place where the "leftover" worship leaders go to serve. The truth: Worship is worship. Children's ministry worship touches the heart of God just as any other worship does. In fact, the Bible tells us that children led the way in praising Jesus in the temple. All "worship stages" are level at the foot of the cross. "Babies and toddlers can't understand anything at church, so there's no need trying to do any kind of lesson for them." This myth causes churches to have no strategy for teaching babies and toddlers. This myth is closely tied to the childcare myth. The truth: While babies and toddlers can't verbalize their thoughts, the early years are the most critical in a person's life. Children learn exponentially in their first three years. Churches can make a huge impact by sharing age-appropriate Bible lessons, praying with and singing songs in this age group. "You shouldn't spend as much money on children's ministry, since children can't give enough to pay the church bills." This myth causes churches to spend major dollars on adult ministry and worship elements for the "main" service, while giving children's ministry the scraps and leftovers. The truth: Jesus tells us in Scripture that when you welcome children, you are welcoming Him. When churches make children's ministry a financial priority, they are ushering in the blessings of God. God will bless the church financially that invests in children. "Youth ministry should be a higher priority than children's ministry." You can see this myth play out when churches elevate youth ministry while neglecting children's ministry. You can also see this reflected in many universities and seminaries who train youth pastors, but not children's pastors. The truth: The battle for the next generation is no longer in high school or even in middle school. It is in the preschool and elementary years. We are in a race for the hearts of the next generation and the first one there will win. Children's ministry must be a top priority for churches. "If you fill children's heads with Bible facts, they will grow up to love Jesus." This myth causes churches to stuff dozens of Bible verses into children's temporary memories. This myth causes churches to spend much more time teaching information than application. This myth causes churches to emphasize rules over relationship. The truth: Bible knowledge is important. We must teach not only facts, but also apologetics, to an increasingly biblically illiterate society. That being said, teaching kids how to apply and live out the truths of the Bible is just as important. We must emphasize that following Jesus is about a relationship with Him, not about just "keeping the rules." "Children should sit still and be quiet at church." This myth causes children to do their best to endure services and programs that are not geared for their age. This myth causes teachers to stand and lecture children, while they painfully squirm in their seats for an hour. This myth fills classrooms and hallways of churches with the sound of "ssshhhhhh." The truth: Children are wired to move and make noise. If we want them to grow up loving church, then we must give them opportunities to do so. Kids learn best through hands-on, active, participatory lessons. "Children are too young to serve." This myth causes churches to place fun events on the calendar that have no long-term spiritual purpose while neglecting to create serving opportunities for kids. The truth: Throughout Scripture, we see children serving and being used by God to make a significant impact. Children can serve now and make a major difference in God's kingdom, if we'll just give them the opportunity. "Children's ministry is just about children." This myth is perpetuated by people who are looking in from the outside. They think serving in children's ministry is just about ministering to kids. The truth: Children's ministry is one of the most difficult areas to lead in the entire church. 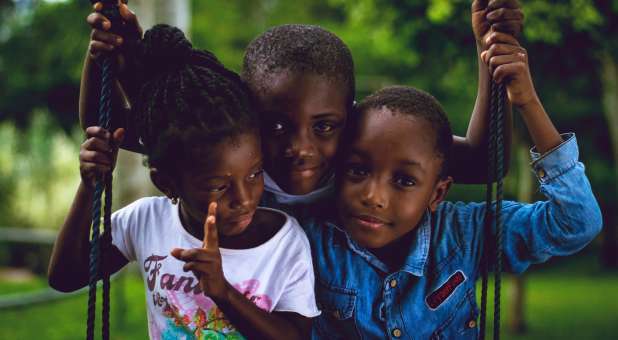 When you lead in children's ministry you must know how to connect with and lead not only kids, but students, men, women, grandparents, single adults and young adults as well. "Children's ministry is also just as much about investing in parents as it is investing in children." Your turn. The floor is yours. What are some other myths the church has believed about children's ministry? Share your thoughts and insight in the comment section below. Dale Hudson has been in children's ministry for over 27 years. He is the director of children's ministry at Christ Fellowship Church in south Florida. Christ Fellowship has nine campuses and ministers to over 25,000 people on weekends. Dale leads a children's ministry staff team of over 70 and a volunteer team of over 2,600. He has authored 100 Best Ideas to Turbocharge Your Children's Ministry, 100 Best Ideas to Turbocharge Your Preschool Ministry, Children's Ministry in the 21st Century, Sunday School That Works, the churchleaders.com Top 100 book, and If Disney Ran Your Children's Ministry. You can find more of his helpful resources at relevantchildrensministry.com or buildingchildrensministry.com. 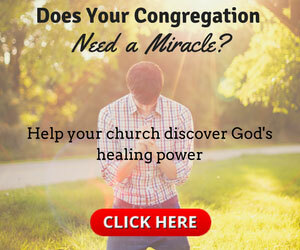 This article originally appeared at buildingchildrensministry.com.